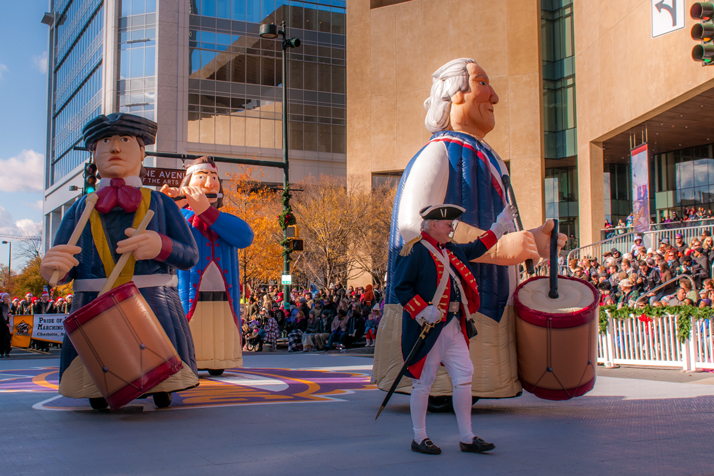 In 2014 we added three revolutionary figure segwalloons to Charlotte’s annual Thanksgiving parade. 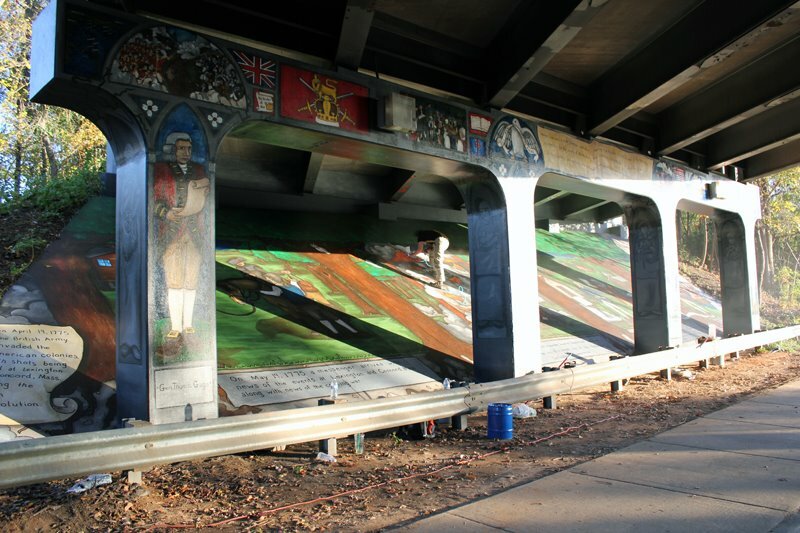 These were the genius idea from our Board member Robert Krumbine, a great addition to this annual event and a wonderful reminder of Charlotte’s revolutionary history. MeckDec Day at the Ballpark! 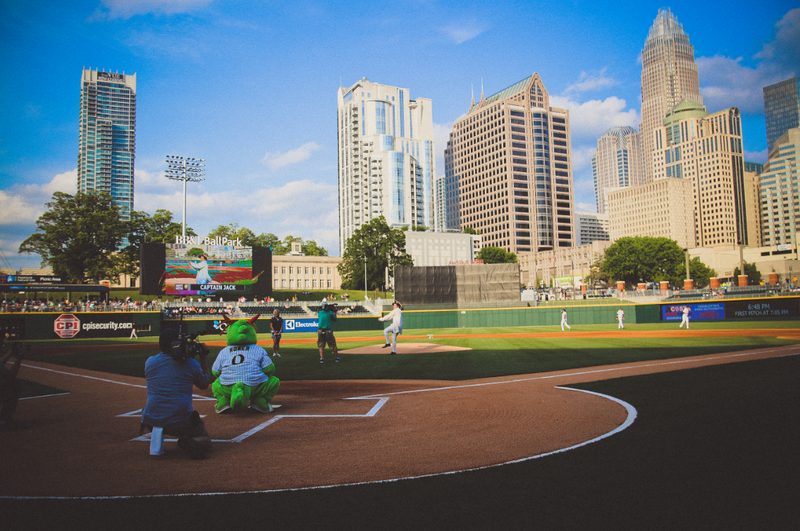 On May 20 2014, we hosted the inaugural MeckDec Day at the Ballpark at the new BB&T baseball stadium uptown. There were riffle and cannon firing to get the game started and Captain Jack even got to throw the first pitch! View our promotional video here. On May 20, 2012, The May 20th Society unveiled the Charlotte Liberty Walk, a historical walking tour in uptown Charlotte that marks severl spots of local history including Captain Jack’s Homesite, Settler’s Cemetary, Thomas Polk Park and many more. 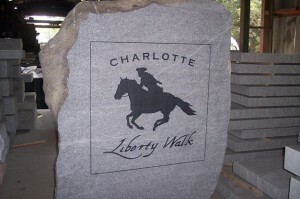 For more information, check out http://www.charlottelibertywalk.com/. The Return of Jack’s Tavern to Mecklenburg! The May 20th Society partnered with Olde Mecklenburg Brewery and hosted a private unveling of the “Captain James Jack Pilsner” on the evening of May 10th, 2011, at the Olde Mecklenburg Brewery. Captain James Jack, a local tavern owner, volunteered at great personal risk to carry the Mecklenburg Declaration of Independence more than 500 miles on horseback to the Continental Congress in Philadelphia. 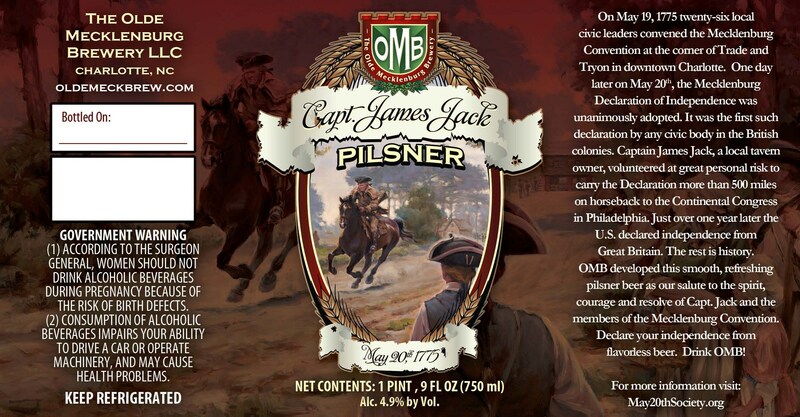 Olde Mecklenburg Brewery developed a smooth, refreshing, pilsner beer as a salute to the spirit, courage and resolve of Captain Jack and the members of the Mecklenburg Convention. For more information on Olde Mecklenburg Brewery, visit http://oldemeckbrew.com/Beer/captain_jack_pilsner.php.